Cerezo came into the game against Kawasaki Frontale, aiming for the first consecutive win this season, following by the Vegalta Sendai game. Shifting the stage from the cold and harsh Sendai to nice and warm Kawasaki Todoriki stadium surrounded by full-bloomed cherry blossoms with18, 2 degrees Celsius, the game was held with the almost same starting line-up in which only Hiroaki Okuno was replaced with Leandro Desabato. 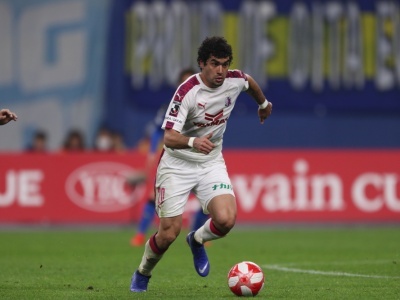 Cerezo had a desperate desire to keep the momentum in the second half. However, Kawasaki coasting through for a consecutive win did not allow Cerezo to sail through. 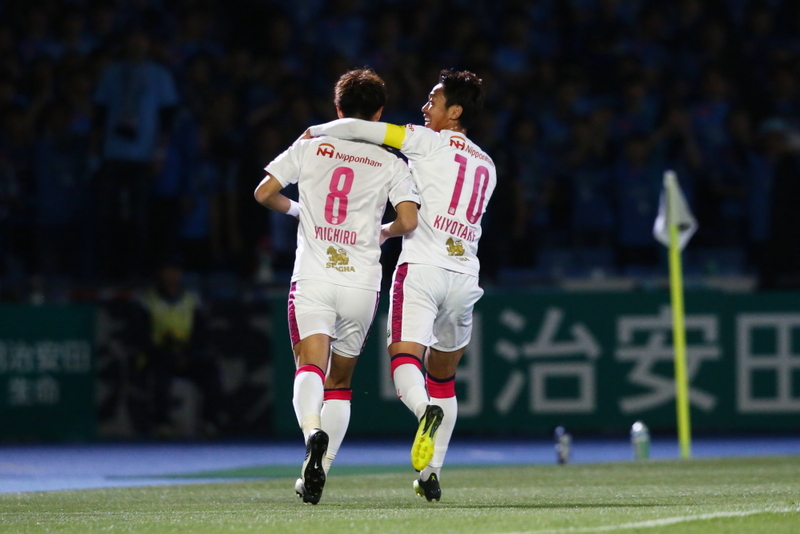 Chinen Kei scored a goal from Hiroaki Ienaga’s cross to equalize. Even afterwards, Cerezo had struggled to change the flow and played defensively. During the second half, the cherry blossom guardian, Kim Jin Hyeon stood out with his great performance. In the 56th minute, his foot cleared Chinen’s shot despite facing a one-on-one. In the 60th minute, again, he narrowly saved Ienaga’s header which met a corner kick at the goal line. The guardian never allowed the foe to score the winner, though in the 74th minute it threatened as Yu Kobayashi, who was just brought on, fired in a shot, but it went inches wide. In the 78th minute, Tatsuya Yamamoto picked up a loose ball from Souza’s free-kick crossed the ball to Kakitani upfront who cut through behind the line to hit the net, but it went over the crossbar. Late in the second half, the battle intensified to get the winner. In the 82nd minute, Yu Kobayashi made a second attempt to score but it was saved by Kim Jin Hyeon. In the 87th minute, the right back substitute, Katayama threatened Kawasaki. In the end, the game was over with a 1-1 draw. Cerezo got one point. Tokura commented later: “I am glad that we got a point against Kawasaki in an away game.” Now that the Cerezo’s new concept has started to permeate throughout the team, a lesson learned from the game with the league champions will elicit an improvement.